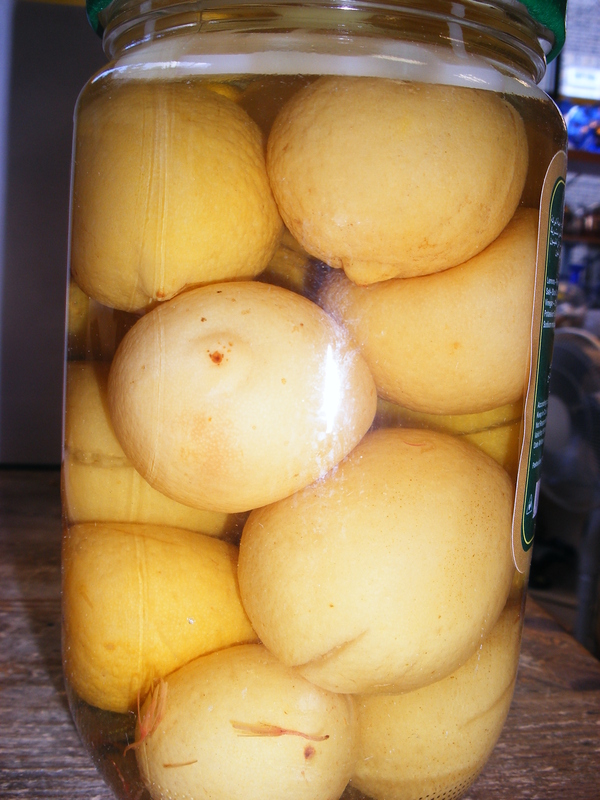 Home / Uncategorized / Help – I’ve just bought bottomless jar of preserved lemons and don’t know what to do with them…. That’s the thing with preserved lemons. A little goes a long way. You only need one or two to flavour a large tagine. But they usually come in real big jars. So having rushed to buy them in a wave of culinary enthusiasm (like, you’ve got a new tagine, and you’ve just come back from the Maghreb, and the sun tan hasn’t yet faded), you are then kind of stuck with them. Every time you open the pantry door as the months go by, they are sitting there, reminding you of your lapsed Middle Eastern fad. Until, after a year or so, you assume that they must be off and end up them binning them in the name of needing the cupboard space. STOP right there. Firstly, they are pretty indestructible, as long as you always use a clean fork to fish them from the jar. They might darken with time, but they won’t go off. Got any more ideas? Leave them in the comments below. Your jar will be empty before you know it. And if you wait til September when our new book is out, you can even learn how to preserve them yourself…. Finely chop a lemon and add it to the cooking water for rice for delicious lemon rice.